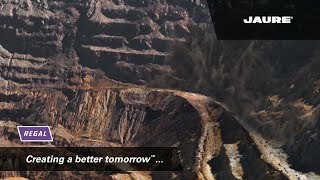 The mining industry continues to consolidate on a global basis while, at the same time, the demand for coal, minerals and metals continues to increase due to emerging economies and infrastructure. Minimal downtime is essential to optimize production. Our industry-hardened solutions ensure protection against the harshest conditions, to maximize uptime and long-term reliability, thus optimizing production 24/7, 365 days a year. We are a leader in ultra-efficient motors, VFDs, and gearing that provide energy savings around the clock to reduce operating cost of energy intense processes, therefore lowering the cost of ownership. Our solutions are designed to reduce energy consumption, provide for increased mechanical protection, and improve overall performance in mission-critical applications. What if you could achieve performance, the reliability and the flexibility you need today... at the efficiencies required for tomorrow. 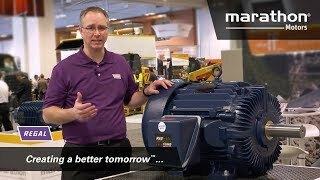 Marathon® Motors stands ready to bee you aggregate motor needs. Operators in Mining Machinery Manufacturing industry will continue to experience challenging conditions over the five years to 2021 with fluctuating commodity prices affecting demand for new equipment. The existing application incorporated a 50 HP Division 1 Class II Group F explosion proof motor with a service factor of 1.0. Initially, upon commission of the mine, all went as planned; however, as production picked up, increased downtime was experienced causing production losses. Regal actively supports and participates in industry leading trade associations, such as The National Mining Association (NMA), which is the voice of the mining industry and its member organizations.